Signal malfunctions . . . Track fires . . . Sick passengers . . . Commuting by subway gets worse by the minute, so we New Yorkers moan. That is our god-given right. We pine for the good old days, when trains ran on time, free of “show time” acrobats and seat hogs. But our reverie might not reflect the reality of times past. August 12, 1906, saw such jaw-dropping chaos in Brooklyn that our present-day gripes about public transportation must wither and die. That day, despite a court ruling that the collection of two fares for a trip to Coney Island was illegal, the Brooklyn Rapid Transit Company (an ancestor of today’s MTA) demanded a second nickel–for a total of ten cents–from trolley riders once they passed Kings Highway on the various lines it controlled: the Sea Beach Railway (today’s N train), the Brighton Line (the B and Q), and Culver Line (the F). An unidentified photographer (possibly Edwin Levick) positioned himself in a second-floor window of the Hubbard House, at the southwest corner of McDonald Avenue and Gravesend Neck Road (long since demolished), and caught the day’s mayhem at that intersection. 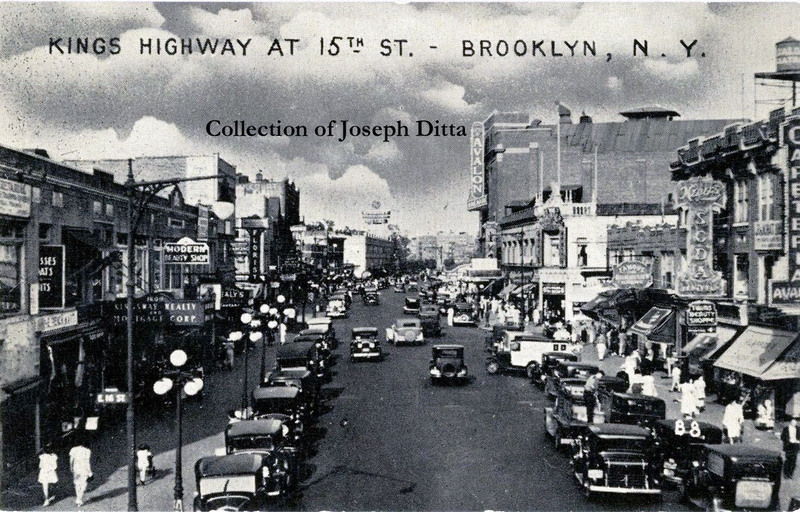 It is hard to recognize our familiar, gritty, elevated-train-track-shadowed McDonald Avenue in these scenes from 1906. 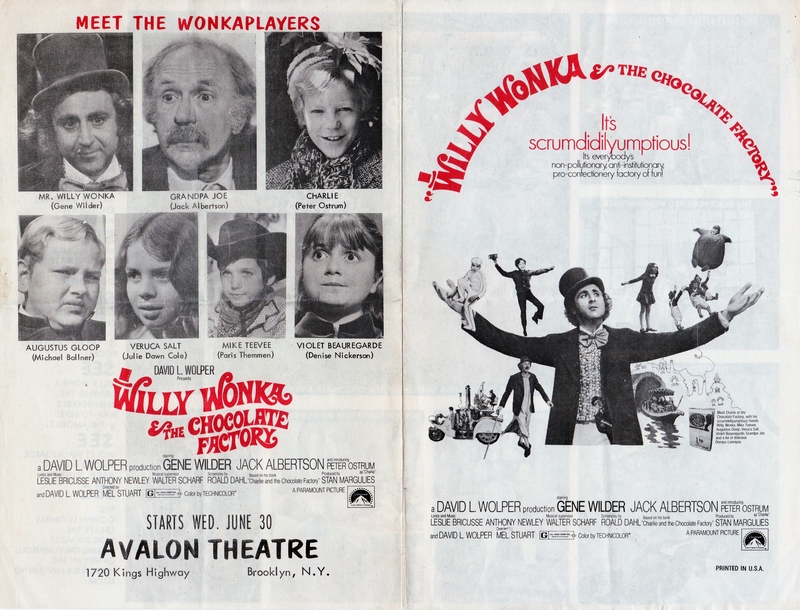 The sad news of the death of the uniquely funny Gene Wilder reminded me I had this flier for the 1971 opening of “Willy Wonka & the Chocolate Factory” at the Avalon Theatre, 1720 Kings Highway. Despite the invitation to “Meet the Wonkaplayers,” I doubt any of the stars appeared at the opening. The S.S. Wonkatania awaits!